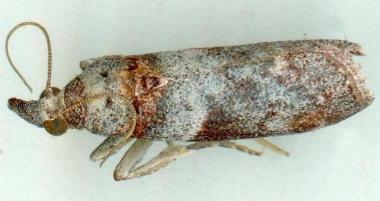 The adult moths of this species have forewings that have bands of light and dark brown. The moths have a wingspan of about 2 cms. Volume 27 (1903), p. 53. Vol. 133 (2007), pp. 143-153.